Cromwell Hall is dedicated to Mr. Beecher Cromwell, a Terre Haute merchant whose belief in Indiana State College and what it stands for is unsurpassed. Mr. Cromwell, whose formal education ended with the eighth grade, strongly supports the development of Indiana State Teachers College. For a number of years, he has been a substantial contributor to the College's Athletic Scholarship Fund. His latest contribution made to the Indiana State Teacher's College Foundation, is for the general development of the institution. In making his presentation to the Foundation, Mr. Cromwell emphasized his endorsement of the importance of the College to the local community and the many fine things the College has done and is doing to benefit the local area. Mr. Cromwell has been deeply impressed with the very capable business ability and management of the College's administrative officers. He notes the Terre Haute business community directly reaps benefits from the College and should, in return, financially support and encourage the College's development. Mr. Cromwell is widely known in the Terre Haute area having recently closed the Cromwell Furniture and Auction Company which he operated 39 years. A native of Clay County, Mr. Cromwell's career has been centered in the central Wabash Valley. He has served the business world in many capacities. His many business ventures that aided his career included the owning and operating of four theaters, a confectionary, and a piano store. He served as a barker for carnivals as well as a piano tuner. Upon moving to Terre Haute as credit manager for a piano firm, Mr. Cromwell organized a moving concern and was in the cartage business. Mr. Cromwell is also a talented musician. He has played the banjo, drums, piccolo, and saxophone professionally. He organized his Beecher Cromwell Band and Orchestra in 1920. Mr. Cromwell's wife, Lillian Jean, died in 1959. Their only child, a daughter Jean, succumbed to pneumonia at an early age. 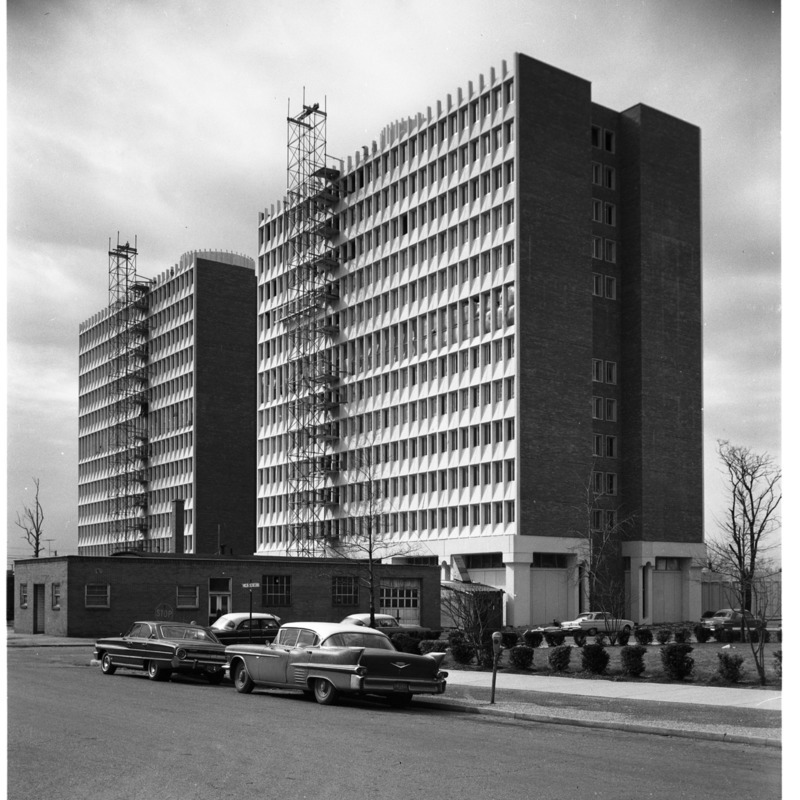 “Cromwell Hall,” Cunningham Memorial Library Digital Exhibits, accessed April 21, 2019, http://stateit.indstate.edu/document/151.